This template pack is made just for Instagram. The Wedding Theme Instagram Pack is perfect for the blogger, lifestylist, influencer, or wedding blogger looking to spruce up your instagram feed. Add a touch of elegance and chic. Use this instagram pack to any field of focus you like. All text, lines, and blocks are fully customizable. File format: .indd for Photoshop or other software. 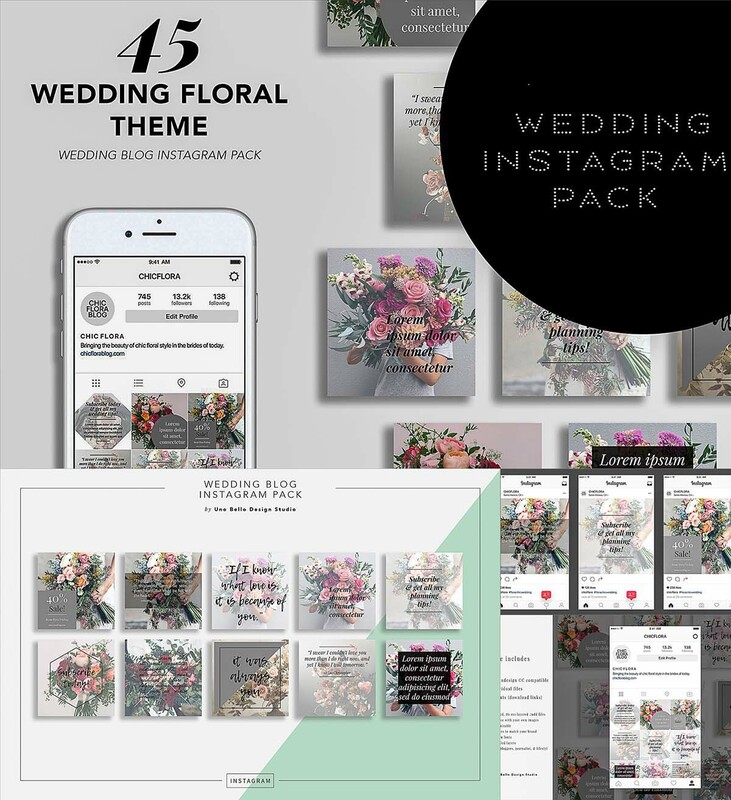 Tags: banner, blogger, floral, indesign, instagram, marketing, minimal design, minimalist, post, social media, wedding.